Home » Events » Burien PRIDE 2019! Burien PRIDE Presents Drag Queen Bingo May 31! Main Pride Festival in Town Square Park June 1! Mark those calendars! Burien Pride 2019 will commence on Friday, May 31, 2019 for Drag Queen Bingo! 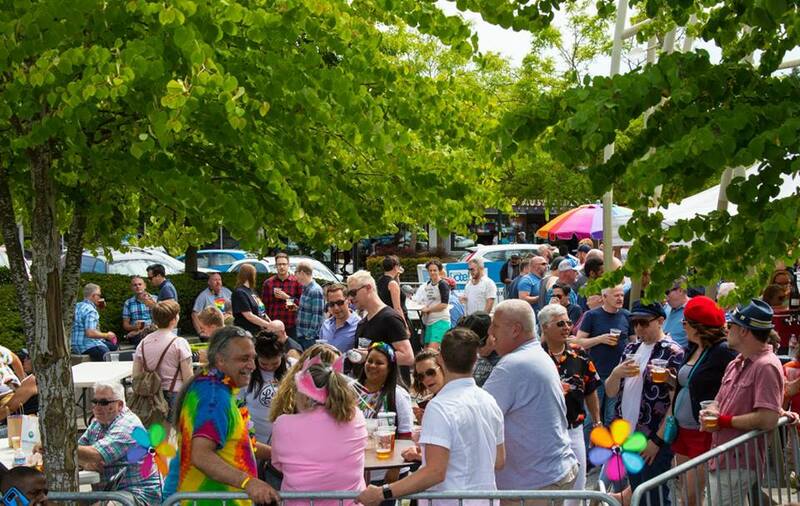 The festivities continue a second day on Saturday, June 1, 2019 for the Burien Pride festival in Town Square Park! Back for its third successful year, Burien Pride is a family-friendly weekend that includes a little something for everyone. A kid-friendly area will include arts, crafts, games, and more. For the first time, an extended beer garden layout will give the 21+ crowd a fun time of their own! And who could forget the street fair that started it all? Bands on the main stage will feature all LGBTQ+ acts this year, including Xolie Morra & The Strange Kind, Whitney Mongé, Jamie Nova SKY, HallowQueen, and the Seattle Premiere Queen Tribute band. Burien Pride will be hosted by DJ Taryn Daly of KISW 99.9 “The Rock”! A featured performance by the Dames of Drag also returns! Burien Pride sponsorship is available by calling (206) 433-2882 or emailing burienpride@gmail.com. Additional information can be found at burienpride.com.